The grass is long cut and laid to one side on swath. You have to walk in a circle while mowing so that it always stores the swath on one side. 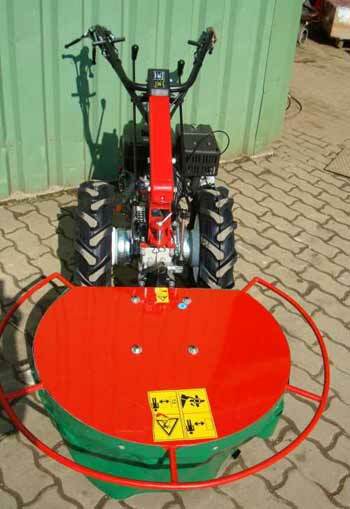 The ideal device for fodder crop. The drive of the rotary drums is completely running in oil bath gears. We have never had to repair a rotary mower. 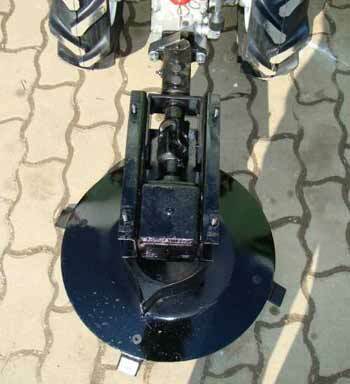 The rotary mower blades can be replaced quick and easy and grinded with the angle grinder.